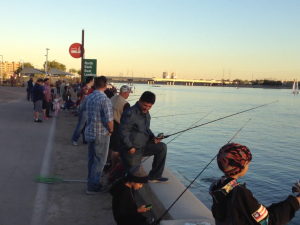 Join us for this year’s Annual Welcome Back the Trout at Tempe Town Lake! Winter is finally here. Well, what we in the Valley of the Sun call winter is finally here. Cooler temperatures mean the return of Rainbow Trout stockings to the Community Fishing Program waters in the Phoenix and Tucson areas including Tempe Town Lake. We will be holding the annual Welcome Back The Trout fishing clinic at Tempe Town Lake on Tuesday, November 22nd from 4-6pm on the north shore. Everyone is welcome! Anglers can borrow a fishing pole and bait for free when they sign in at the fishing booth. If you sign in you do not need a fishing license during the fishing clinic. After the clinic is over, all anglers age 10 and over are required to have a valid fishing license. The Rainbow Trout bag limit for Tempe Town Lake is 4 fish. This will be the first trout stocking of the season and has very special meaning. During the past winter, the lake was drained because the City of Tempe needed to remove the remaining parts of the old dam structure. 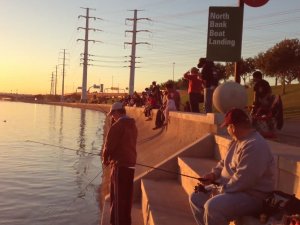 Since the lake re-filled in the spring, the Department has stocked catfish and some small crappie into Tempe Town Lake. Due to the warmer weather Rainbow Trout have not been stocked into the lake until now. After a year-long hiatus, anglers can once again enjoy trout fishing at Tempe Town Lake. 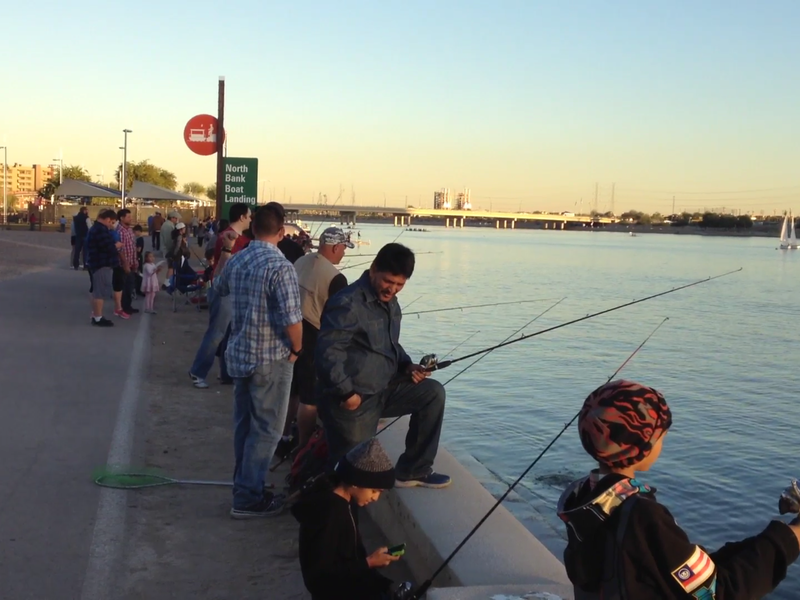 The stocking truck will be at Tempe Town Lake Tuesday, November 22nd releasing over 3,000 catachable size Rainbow Trout. You will get a front row view of how we stock Rainbow Trout into the Community Fishing Waters! We stock Tempe Town Lake with over 3,000 catchable sized Rainbow Trout every month from November to March. Check out the Community Fishing Bulletin for updated on the upcoming Community Waters Stocking. See the most recent Stocking Reports and Angler Reports to plan your weekend fishing trip!